Sergeant Sean McKenna in front of the site of the West Broadway fire. Photo from West Broadway Coalition. Egbujor runs the Paradise Beauty Salon, right down West Broadway from the location of the April 15 fire. According to reports, the fire started at a payday loan office at around 8:00 a.m. and burned until late that evening. The July 27th Press Conference. Photo from West Broadway Coalition. 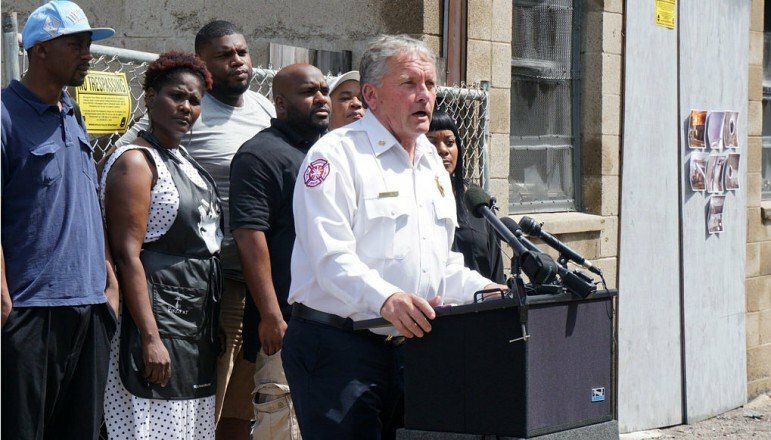 If you read the headlines that came out after the Police and Fire press conference last month, it’s no surprise if most people in Minneapolis assume that the fire was set intentionally. 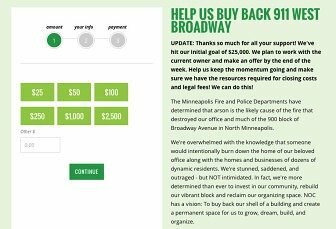 “Authorities suggest W. Broadway fire may have been arson, ask for public’s help” said the Star Tribune. “Arsonist may have started Block-Wide N. Minneapolis fire,” said WCCO. The arson allegation is based on the presence of “turpenes,” flammable liquids which can be found in turpentine or paint thinner. But left unsaid is that the fire may not have been arson. The truth is that the Minneapolis Police and Fire departments don’t know either way. And if the press conference was basically a fishing exhibition, weeks later it has not amounted to much. 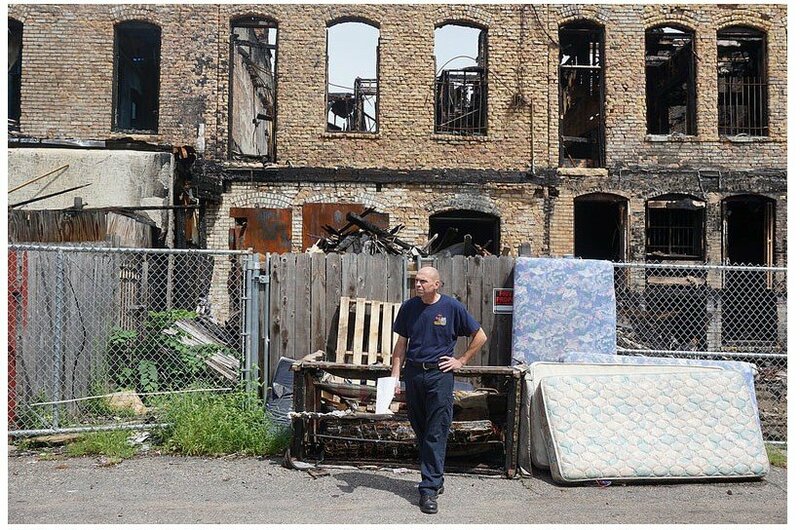 The arson suspicion makes sense for many people in North Minneapolis because the fire burned for so long, almost an entire day. According to an April article in Insight News, the reason for the fire’s long duration had to do with the underground gas line. As for why the fire burned so hot and for so long, Rumppe attributed it to natural gas lines fueling the flames. The inspector said the gas to the entire street had to be shut off, but once the lines were shut firefighters were able to control the blaze within about 10 minutes. You can still donate to help NOC rebuild. In all likelihood, nobody will ever know what happened on West Broadway that morning. But the neighborhood is already moving on and bouncing back. 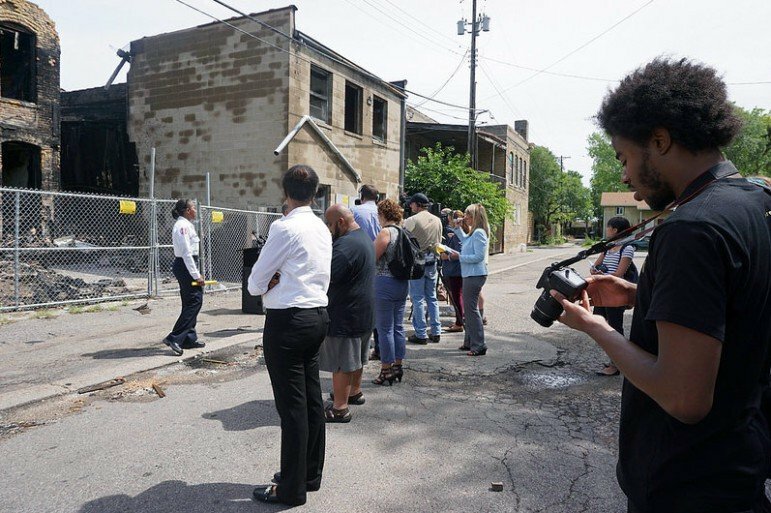 This month, Neighborhoods Organizing for Change (NOC), which lost their office in the fire, completed an ambitious fundraising effort to raise enough money to buy back the property. 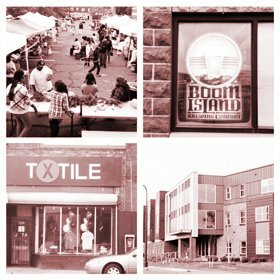 The West Broadway Business and Area Coalition is setting out to prove that its business district has everything one needs to throw a spectacular party. For the upcoming Taste of West Broadway fundraiser on Thursday, February 26th, food will be prepared and served by eight local chefs from Avenue Eatery, K's Deli, Cookie Cart, WholeSoul, Pimento Kitchen, Louisiana Purchase Seafood, Broadway Pub and Grille and Breaking Bread Cafe. Event patrons will have the pleasure of enjoying a wine tasting hosted by Cliff 'n Norm's, Merwin Liquors and Broadway Liquor Outlet.